US organizations have wasted $30 billion (!) over the last four years because of unused software. That's $259 per desktop. To save time, money and nerves, you'll have to plan the implementation of a project software carefully. Here are 5 common mistakes that people do when implementing a project management software. If you want to implement a new software successfully you need to have a leader. The leader has to show that they are firmly standing behind the project and has to act as a role model for the team. If the leader doesn’t use the tool, then why should the team? But you can’t just force a new software top-down onto a team. You’ll need to show the team the benefits of the new software and back that up with concrete numbers: show them exactly how much productivity and efficiency increases you’re expecting. Without the buy-in of the team, you’re risking that your team will reject the software and it’s just collecting (virtual) dust. Implementing a new project management software means that you are introducing a change. But change is something that many resist, so you need to communicate the benefits of the new software for them and also keep them up-to-date on the progress of the implementation. Only if they feel included in the whole process will they accept the software. Many see training as a waste of time. It’s true that a good project management software should be intuitive and easy-to-use. But if you want to get the best out of it, you should make use of training and webinar offers. The time invested will be worth it – sometimes you need to spend time, to save time. Even the best software needs a familiarization period. Whether you’ve used a PM software before or not, the project manager and the team will need time to adjust to the new software. Just because things aren’t running like they did before doesn’t mean that it’s necessarily worse than your system before. 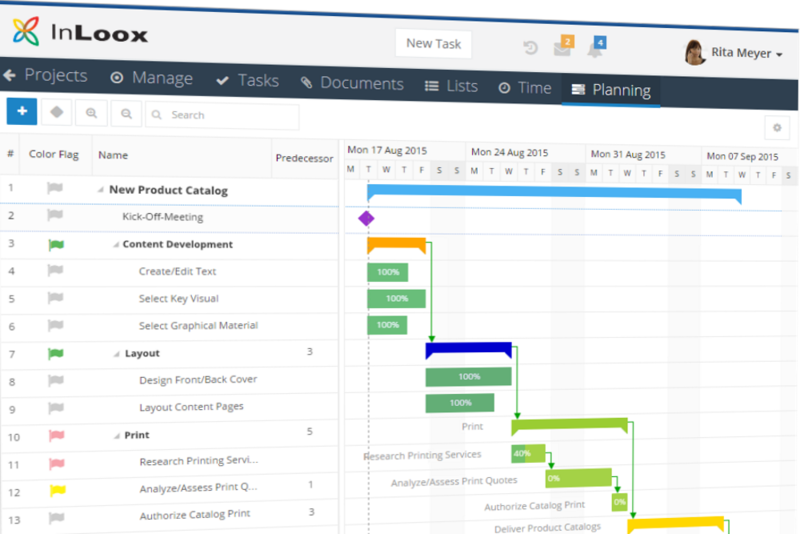 Want to get to know InLoox project management software? Get your free InLoox now! trial here. Or contact our sales team for a free live webinar. Implementing a Project Management Software: Common Mistakes - InLoox • Copyright 1999-2019 © InLoox, Inc. All rights reserved.